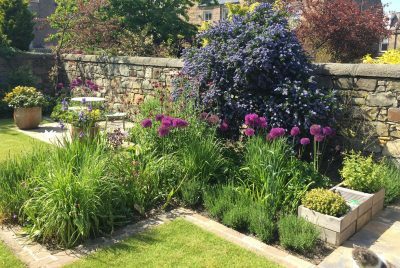 Designs to transform an Edinburgh garden and a country retreat. 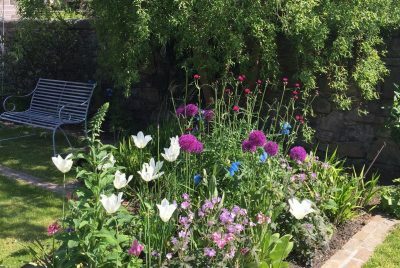 Our client needed planting plans for her country cottage on the shores of Loch Tay and a complete transformation for the gardens at her Edinburgh home. 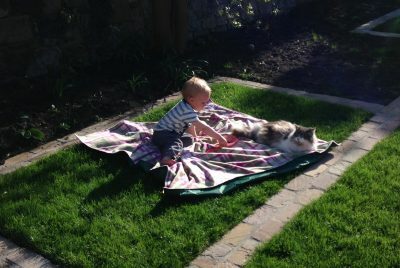 One client; two very different gardens. 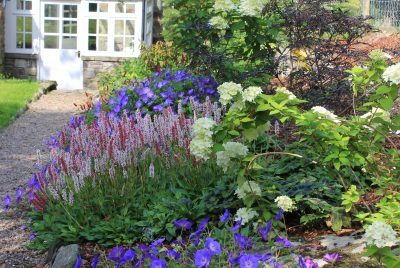 The cottage planting has been designed to survive harsh Perthshire winters and longer stretches between any maintenance whilst providing a sense of abundance with harmonising, gentle colours. 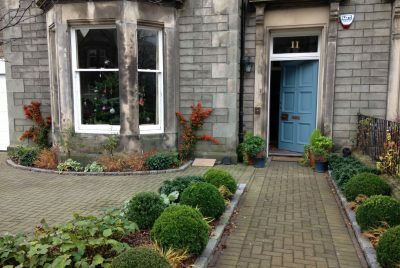 The town house needed a smart front garden which we managed to achieve simply by replanting with crisp box balls and clipped hollies combined with a very limited colour palette of acid green, white and little highlights of orange berries and geums. 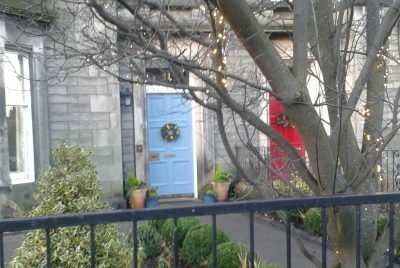 It looks great all year round and can now be dressed beautifully with winter pots at the door to make a welcoming Christmas entrance. 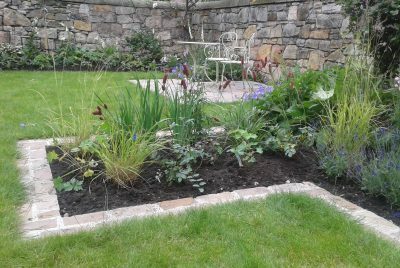 For the back garden of the Edinburgh house we took the design queues from the newly renovated interior, creating a crisp unfussy shape softened by generous planting. 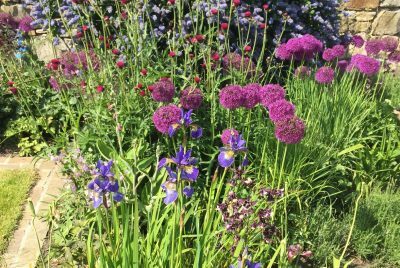 To reflect the client’s tastes the garden still has echoes of the country but with a slightly more contemporary planting style. This family garden is also designed with children in mind, including a special sandpit courtyard with play boxes and herbs which can later be transformed into a sunny arbour. We designed in space for vegetables in raised beds, a potting shed and plenty of space for ball games. 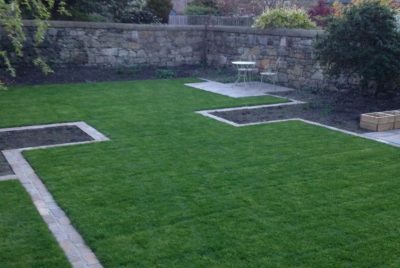 Both gardens were rather dull and lacking in colour, though assets were immediately apparent such as the lovely stone walls of the Edinburgh garden which could be revealed by removing many dark, heavy evergreens. 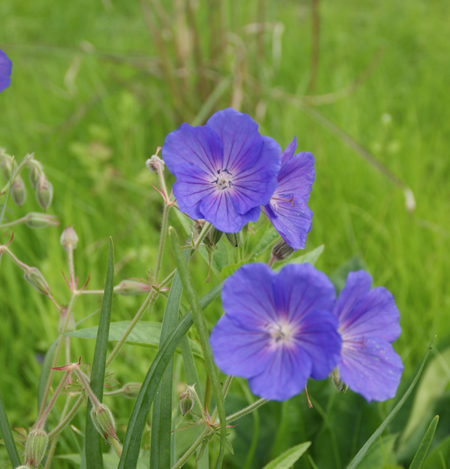 Neither garden was adding much pleasure to life and, worse, the Edinburgh garden was infected with bindweed. 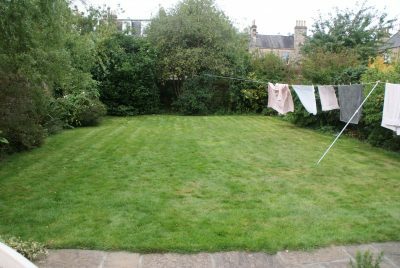 Town gardens can often become dull and gloomy where evergreens and pernicious weeds have taken over and gardening can become a chore. In this case the view from the house out to the garden doubled the need for a new garden design. 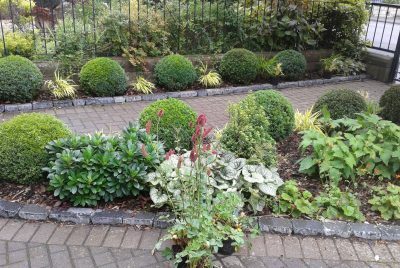 "This is the second time I have turned to Ivy Maud Design for a garden project and I am really delighted with the results. The whole process of getting a design project done with Jayne is thoroughly enjoyable and you feel in very capable hands throughout. 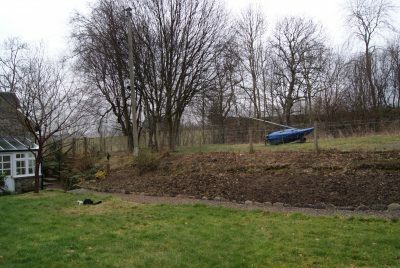 I am very excited about the new look of our garden and I have no doubt the results will be stunning once the final planting is in place this Spring - I can't wait to see the finished article. 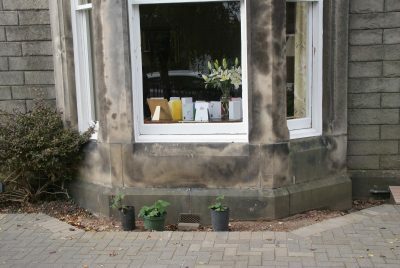 In the meantime our hard landscaping is complete and the remarkable attention to detail by the landscapers is evident every time we look around our new garden. Their determination to have everything just perfect is extremely impressive and we couldn't have asked for a better job." 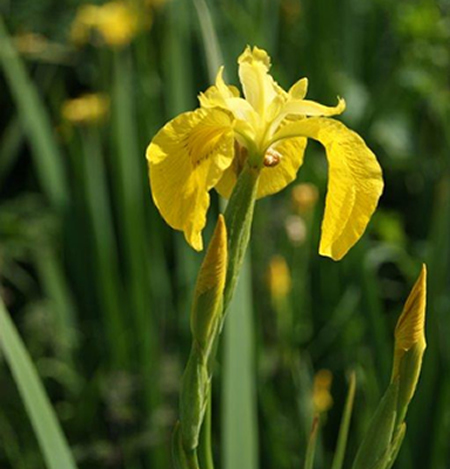 I wanted to drop a line to say how much I am enjoying the garden - especially in this spell of lovely weather. 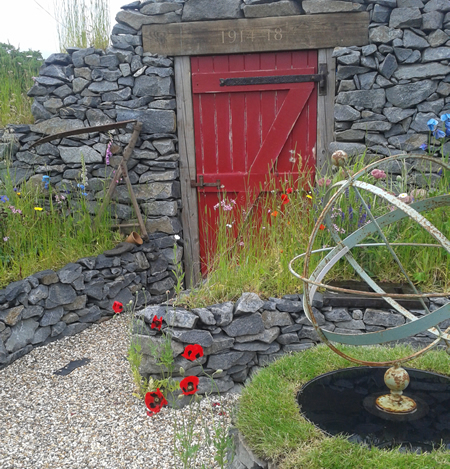 It is looking fab despite the minimal attention I have paid it....good design to thank for that I reckon. 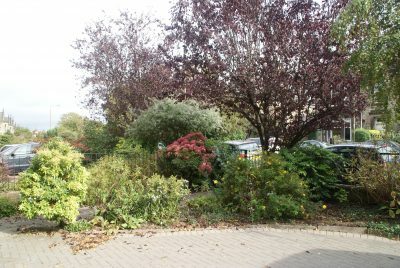 Just wanted to say how much I am enjoying looking at this front garden this winter - and it has had lots of compliments! All the greenery and the berries are just what was needed."